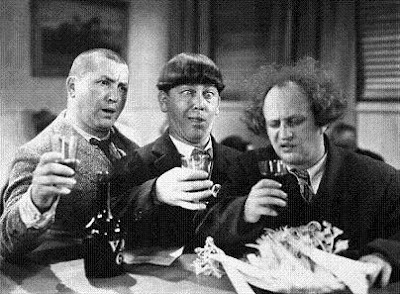 The Stooges spell work, "W - O - I - K"
CT Judicial Branch wants to censor bloggers? Is Rogers the head goal keeper running interference for Connecticut Judicial, Prosecutorial, Legislative, Official, Attorney, and Executive Branch misconduct? William J. "Taco" Sullivan would be proud. I recall the Chief Justice saying he'd be a prostitute too if he was a poor minority woman at this hearing [video]. [click here] for the full Ritt Goldstein video, "Under Siege"